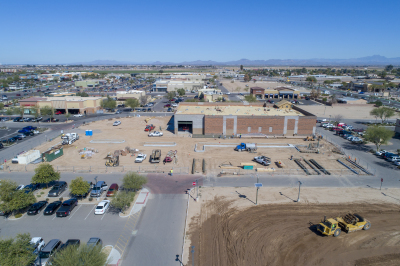 The response from the retailers to the Ironwood District has been enthusiastic. 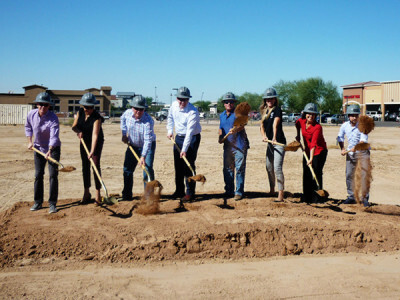 The tenant mix is being curated to produce a gratifying retailing experience. 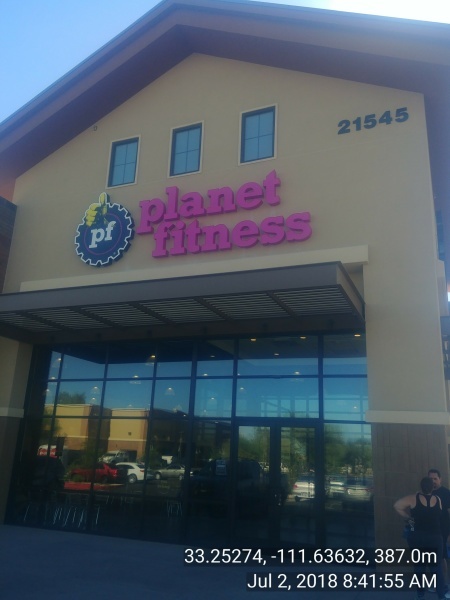 This kind article from the Queen Creek Independent details the excitement building around the opening of Planet Fitness. 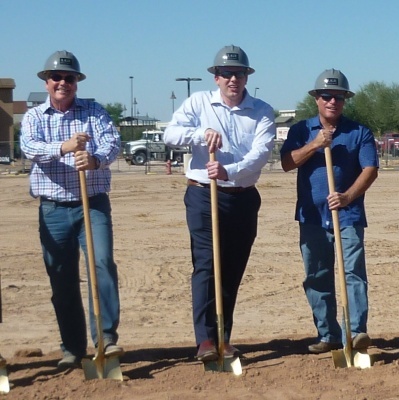 We've begun moving dirt on phase 2 of the Queen Creek Fiesta project which includes a freestanding build-to-suit building for Nando's Mexican Grill and two shops buildings. Turnover is expected in August! Click below for cool 360 view! 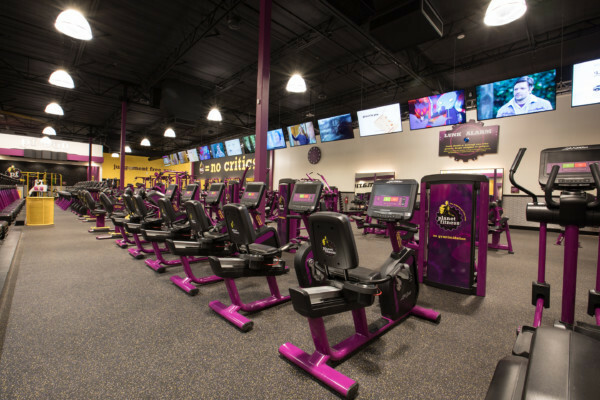 Fortis Development commences a new $12 million retail development anchored by Planet Fitness. 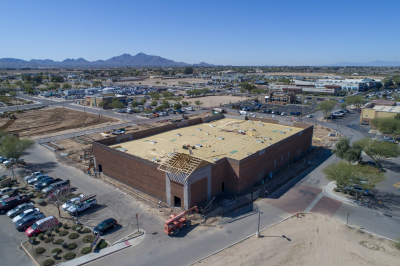 Five Guys Burgers and Fries joins Nando's Mexican Grill to add to the dining choices available at Queen Creek Fiesta. 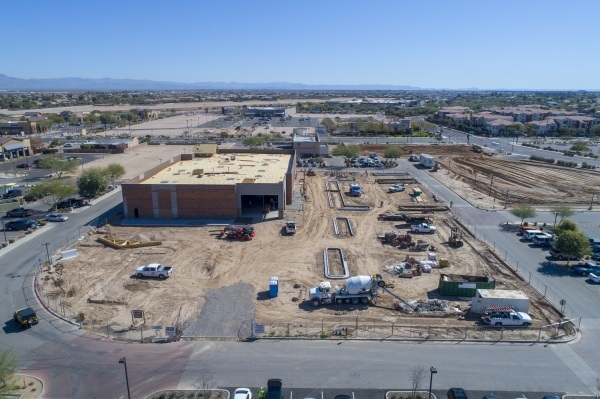 This 2,400 square foot American fast-casual restaurant, famous for fresh-pressed burgers and fresh-cut fries occupies the endcap of our shops building along Ellsworth Road and features a 1,500 sf outdoor patio.